Reposted from the J-PAL website. Contact: Eliza Keller, [email protected], (+001) 617-324-5991. On January 15, Co-Impact, a global philanthropic collaborative for systems change, announced a commitment of US$80 million and technical support to five initiatives with proven systems changing strategies in education, health, and economic opportunity. 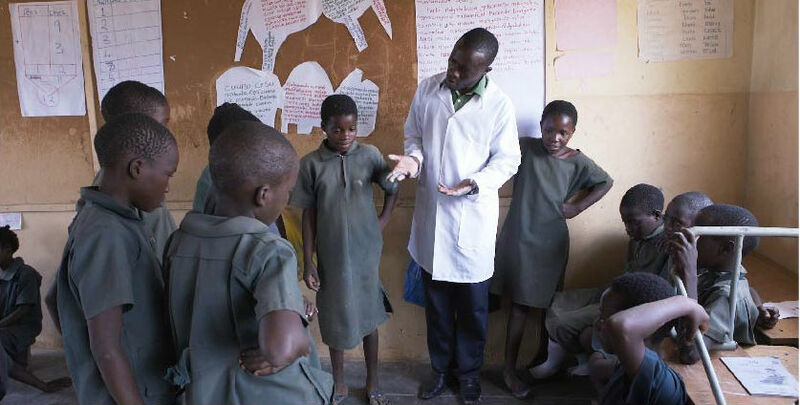 Teaching at the Right Level (TaRL) Africa, led jointly by MIT’s Abdul Latif Jameel Poverty Action Lab (J-PAL) and the Indian NGO Pratham, was selected as one of the five initiatives receiving funding under this commitment. TaRL Africa was selected after rigorous assessment from an initial pool of over 250 initiatives. Despite progress worldwide in school enrollment, millions of children in schools across Africa are not acquiring basic reading and arithmetic skills. The Co-Impact grant will support J-PAL’s Policy team and Pratham in working with governments and their partners to scale up the Teaching at the Right Level approach in multiple countries across Africa.This complements a burgeoning movement of players and programs in Africa committed to addressing the learning crisis through TaRL. (1) Using a simple tool, children are assessed on their ability to read and do arithmetic. (2) Then, children are grouped for instruction by level, rather than by grade. For a few hours per day the focus is on building foundational skills through activities and materials appropriate for each group. (3) As children progress in reading and arithmetic, they move into the next learning group and continue to grow. Shifting from “schooling for all” to “learning for all” also requires critical systems-level support. This includes working with stakeholders to adjust the approach to local contexts, developing and supporting a cadre of mentors, and continually assessing basic skills and empowering government officials and teachers to act on this data. Since 2001 J-PAL-affiliated researchers have tested the TaRL approach through rigorous impact evaluations. Six randomized evaluations in India over the past two decades and a growing body of research in Africa have shown that TaRL has led to some of the largest and cost-effective learning gains of any primary education program evaluated.For example, in a randomized evaluation in Haryana, India, the TaRL approach implemented by government school teachers led to significant improvements in reading, with the largest gains made by children who were furthest behind. The five-year Co-Impact grant enables the J-PAL/Pratham team to continue to support the scale-up of TaRL and reach at least three million students—and potentially millions more in the future. J-PAL and Pratham will set up a new initiative, TaRL Africa, with full-time staff based in South Africa, Cote d’Ivoire, Nigeria, Zambia, and other countries in the region. J-PAL, Pratham, and TaRL Africa partners hope that Co-Impact’s rigorous assessment and significant pledge of support will encourage further philanthropic, international donor and government investments in TaRL. The TaRL Africa initiative will work with governments, local schools and NGOs, donors, and supporters to develop the foundations essential for lifelong learning, opening doors for the next generation of global citizens. For more information about Teaching at the Right Level and to learn how to become a partner, visit www.teachingattherightlevel.org. For more information about J-PAL, visit www.povertyactionlab.org. For more information about Pratham, visit www.pratham.org. The Abdul Latif Jameel Poverty Action Lab (J-PAL) is a global research center based at the Masachusetts Institute of Technology (MIT) working to reduce poverty by ensuring that policy is informed by scientific evidence. Anchored by a network of more than 170 affiliated professors at universities around the world, J-PAL draws on results from randomized impact evaluations to answer critical questions in the fight against poverty. We build partnerships with governments, NGOs, donors, and others to share this knowledge, scale up effective programs, and advance evidence-informed decision-making. J-PAL was launched at the MIT in 2003 and has regional centers in Africa, Europe, Latin America & the Caribbean, North America, South Asia, and Southeast Asia. Pratham is an innovative learning organization. Set up almost 25 years ago, Pratham believes that every child should be in school and learning well. Pratham means ‘first’ or “primary” in Sanskrit. As one of the largest non-governmental organizations in the country, Pratham facilitates India’s well-known Annual Status of Education Report (ASER) exercise, which has been providing estimates of reading and arithmetic skills every year for every rural district in India since 2005. For the past two decades and more, Pratham has focused on high-quality, low-cost learning improvement interventions that help millions of children progress and thrive. Working directly with communities and schools, Pratham reaches close to a million children every year. Working in partnership with state governments, Pratham is able to contribute to the learning improvement of several million children annually. Is TaRL right for my context? SUBSCRIBE TO THE TaRL NEWSLETTER!